Looking for a smooth ride with inside luxury to drive to your kid's robotics competitions, the local RV park, or for a long road trip? 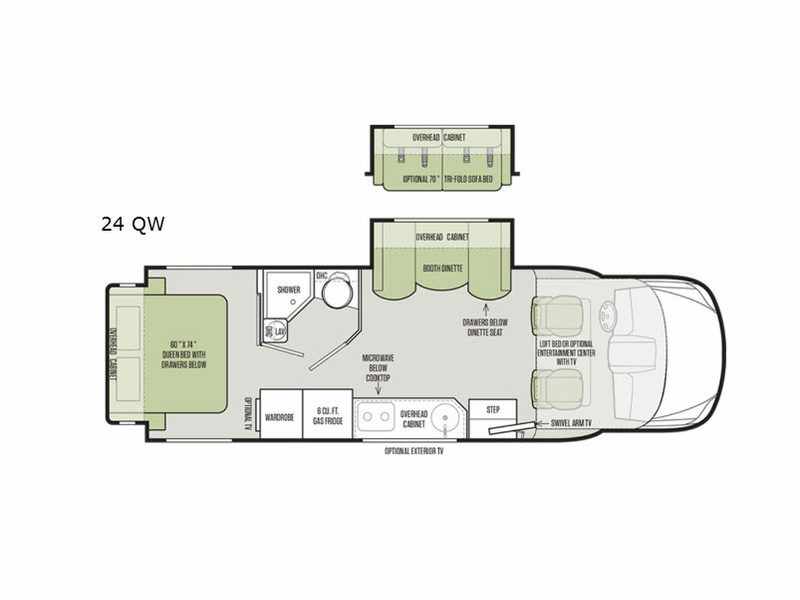 This Wayfarer 24 QW class C diesel motorhome offers two slide outs allowing more interior floor space within the living room and kitchen for the cook, plus the rear bedroom. You can enjoy eating or playing games at the booth dinette which includes storage drawers below the seats. 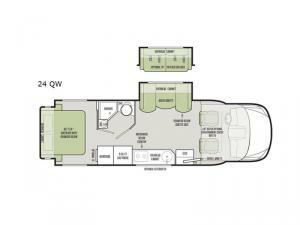 You have sleeping space for 5-6 with a queen bed, a loft bed over the cab, and the dinette when folded down. The full bath provides all you will need to stay clean and ready to go. Take a look today, you will be glad you did.